I was 14, it was a Friday night and a bong awaited me in a tiny house next door to the Starbucks in Sherman Oaks. It was my first time smoking weed, and as I settled in for my 15-minute ride down Ventura Boulevard in the Valley, I felt excited to finally experience what I had researched over the internet for a while. I had already been looking at a “Girls Gone Weed” MySpace for a couple years, where pretty, young models would pose with huge chunks of bud, and I was desperate to stop studying them and start being them. Before I was a pot smoker, I was definitely a celebrity fan, but clicking through Bloom’s site — with its comprehensive list of stoner movies, catalogue of drug-related mugshots (Mischa, Lindsay, McCauley) and “High Tunes” music selects — brought me back to the early days of my relationship weed in a wave of mid-aughts nostalgia. I had never visited Celeb Stoner before, but I had encountered some similar pages during one of my most frequent searches in 8th grade: “Justin Timberlake smoking weed.” At 13, I was desperate to see JT’s precious lips wrapped around a plump J. We were still in the Bush era, where California’s legal medical marijuana facilities were frequently raided by the federal government and only a handful of activist-minded celebrities would openly share photos of themselves smoking weed. For Bloom, keeping tabs on celebrities and their relationship to weed has comprised a big part of his journalism career. Starting out as a music journalist in the late ‘70s, Bloom wrote for publications like Rolling Stone before landing a few book deals. All along, he loved to get high. Then in 1988, a friend brought Bloom to High Times as a freelance editor. 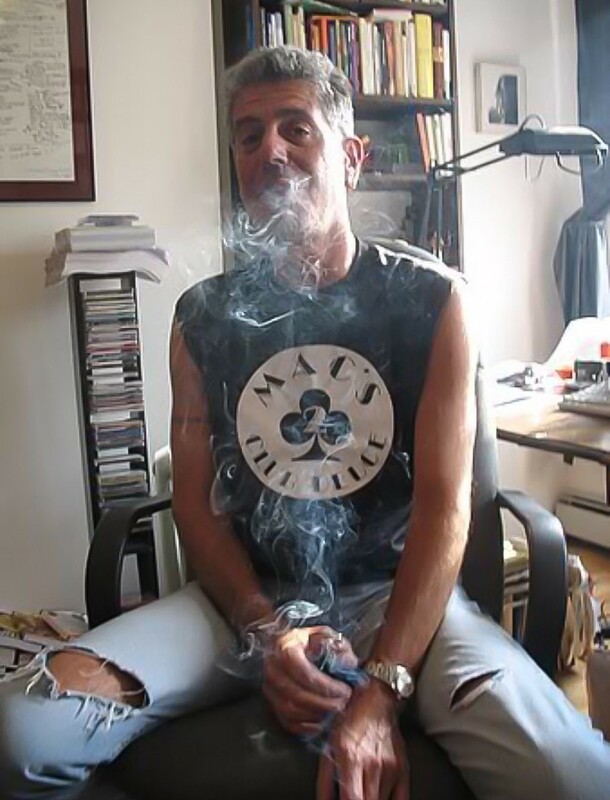 Eventually, he went on to become co-editor in chief of the magazine and remained on the High Times staff until 2004. When it became clear digital content was the new medium, Bloom launched Celeb Stoner when just a handful of 420-oriented sites existed online. How much easier is it to publicly identify as a “marijuana media professional” today than it was when you began at High Times in 1998? What states have new weed policies on their ballots this election? This is an exciting time. If California passes Proposition 64 [which would legalize marijuana for recreational use] in November, that will be huge. Nevada and Arizona also have legalization on their ballots. Given that legalization has already passed in Colorado and Washington, this election could mean marijuana being legal throughout a huge chunk of the West Coast. On the East Coast, we have Maine and Massachusetts both voting on legalization, potentially breaking through as the first states to legalize on the East Coast. There’s also a medical marijuana bill in Florida, which will hopefully pass. What’s made you stick with the cannabis beat even after you ended your career at High Times? I was shocked by what I learned at High Times. When I first began, I would get boxes of mail every couple of weeks—mostly horror stories about arrests and other incidents with the police related to marijuana. … The numbers were so high, and a lot of people wrote in asking for information and help. I took it upon myself to get more and more involved and by the time I was at High Times for 20 years, it was clear I would continue to focus on this stuff. It’s unusual to get to be an advocate and an editor at the same time. You’re not writing objectively, as it’s advocacy journalism. We weren’t trying to share the Drug Enforcement Agency’s perspective; we were sick of hearing it. Did you get a lot of flak for your work? At the time, a lot of people didn’t understand what I was doing. Now I get a lot of pats on the back for stuff I did back then, and some people will tell me I’ve influenced reform efforts through what I covered. My work in print and online has been about trying to open up people’s hearts and minds to this issue. I often preach to the converted, yes, but it’s also important to keep those people excited and motivated. I always think about how different the marijuana culture I experience as a young person in California is from what my parents must have experienced. My generation was really the first generation of Americans to experiment with marijuana in a major way. History goes that marijuana arrived in America in the ‘30s and ‘40s and was then banned. Then, the beatniks and jazz musicians of the ‘50s embraced marijuana and passed that sensibility on to the hippie generation, which is right when I come in. I first started smoking around 1970 and none of us knew what we were doing. We were in it on our own and didn’t know what to expect. Now, there’s generations of information that’s passed on and posted online. Now we can research strains before we even begin smoking. People gamify their high. At Celebrity Stoner, do you ever feel like by circulating photos of people in the public eye smoking weed you’re shaming them? I’m sure celebs are not thrilled when paparazzi photos of them smoking pot appear in the media. Ask Michael Phelps, or Malia Obama for that matter. Your work at Freedom Leaf is explicitly linked to organizations like the National Organization for the Reform of Marijuana Laws (NORML) and Students for Sensible Drug Policy (SSDP), but do you think there’s political value to Celeb Stoner, too? Celebrities doing something as benign as smoking marijuana and then publicly achieving a lot sends the message that marijuana didn’t prevent them from doing so. In some cases, maybe it even helped them achieve their success. Maybe marijuana gave people like [Michael] Phelps and [Barack] Obama the drive or wherewithal to move ahead in their lives and do great things. I don’t know how often Phelps smoked marijuana, but Obama is upfront about being a regular smoker as a young person in Hawaii. He doesn’t like to say it was a good thing, but look at his daughter. Have you received a lot of criticism for reporting on Malia’s stoned summer? She’s twice now been seen with marijuana, first a joint and then a bong, but the bong picture is questionable. I do get a lot of flak for posting stuff about her, people saying it’s an invasion of her privacy, but I think it’s important. It says something that as the president’s daughter, she’s able to smoke weed without getting too much flak. Who are your favorite celebrity stoners of all time? I have to lean towards the old-timers, Willie Nelson and Tommy Chong. I’m thoroughly amazed by Willie Nelson being able to do what he does at this point in his life, at age 83. Willie and Tommy are the oldest celebrity stoners out there. Woody Harrelson and Snoop Dogg too. In 1996, Woody got arrested for planting a hemp seed. I wish I wasn’t naming all men, but more men have traditionally spoken out this issue.